It is easy to compare any novel narrated by a disaffected American teenager with the seminal Catcher in the Rye. Holden Caulfield has become the archetypical American teen – intelligent, insightful and with plenty of promise but constantly fighting against a system which seeks to pigeon hole and repress. Lucia, the eighteen year-old narrator of How to Set a Fire and Why, fits into this mould but this is a very different tale and a very different world. Lucia has been dealt what can only be described as a losing hand by life – her father is dead, her mother is in an asylum, she lives with her elderly aunt in a garage and she has just been kicked out of school for stabbing another student with a pencil. But Lucia, despite all of her protestations to the contrary, still tries to find a place where she can fit. In her case, that place is the school’s mythical Arson Club – a group of students who are keen to burn things down. Lucia’s character comes across strongly from the first sentence. Jesse Ball’s first person narrative absolutely inhabits the mind of this troubled teen. While sometimes not as smart as she thinks she is, Lucia is a fiercely intelligent, independent young woman. Not everything goes badly for Lucia. People try to help her and there are rays of light. But this is more than just a glimpse of one girl’s struggle with the world. It is a microcosm of modern day America, and Lucia is on the receiving end. As a poor, young person she is often powerless to change the course of her life despite any good intentions. 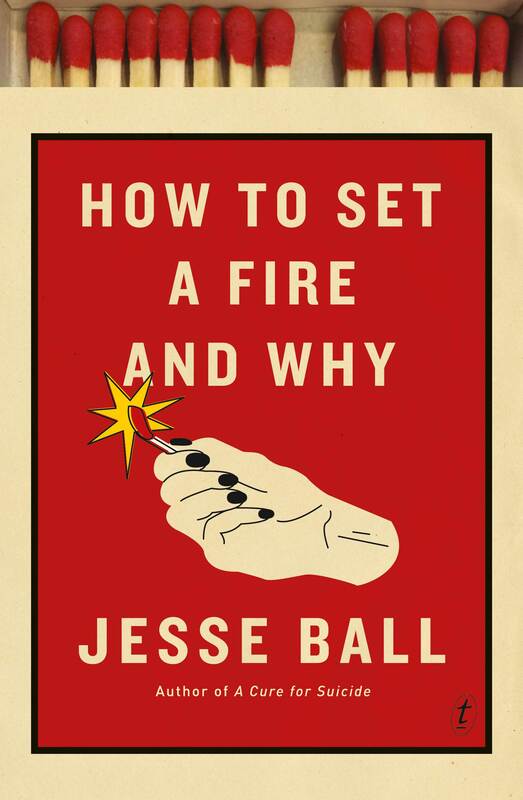 How to Set a Fire and Why is, on its surface an engaging but troubling look at America’s disaffected young people. But in taking this angle, Ball shines a light on the structural impediments in American society, where the dream is only for some and for others, sometimes, burning something down seems like the only sensible answer.